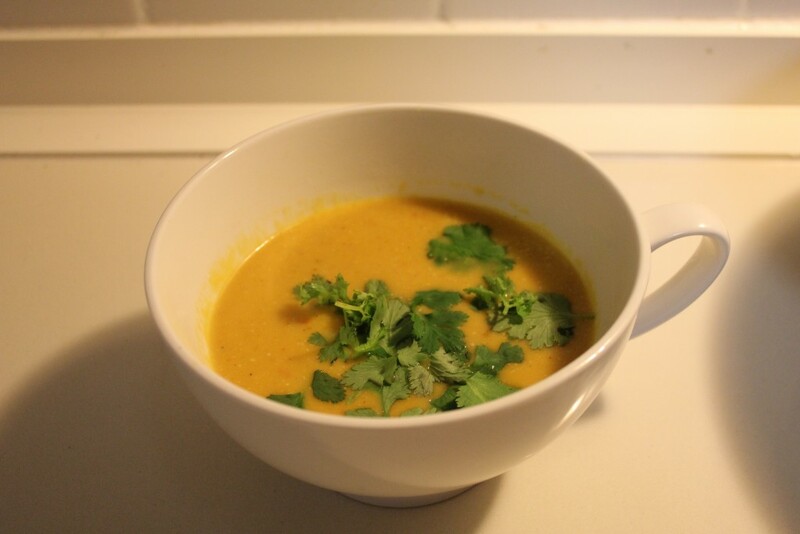 It was a cool day in Sydney yesterday, and cool days mean warm bowls of soup. I had 1/4 of a pumpkin, and a bit of left over coconut milk but no jars of Thai red curry paste and no desire to leave the house. Fortunately, I had all the ingredients I needed to make it from scratch. It took all of 5 minutes in a whizzer and was absolutely delicious. The surplus went into small containers in the freezer for another meal. I am already planning when I can make red chicken curry! Place all of the spice ingredients in the whizzer and blend until smooth. If you are in the mood for a workout, feel free to pound everything in a mortal and pestle! Peel and chop the pumpkin into small chunks. Put a large pot on a medium heat, and cook 2 tablespoons of paste for a couple of minutes until fragrant. Add the pumpkin, coconut milk and stock and simmer until the pumpkin is tender and the liquid has reduced enough to make soup to the consistency you prefer. You can always cook it longer, or add more water to get it right. Blend the soup, serve with coriander leaves and roti to mop up your bowl.